Marshfield bed and breakfast travel guide for romantic, historic and adventure b&b's. 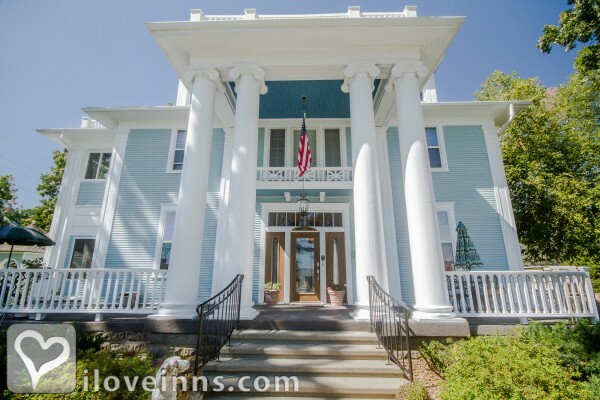 Browse through the iLoveInns.com database of Marshfield, Missouri bed and breakfasts and country inns to find detailed listings that include room rates, special deals and area activities. You can click on the 'check rates and availability' button to contact the innkeeper. Marshfield is a city located in Webster County, Missouri. Although it is a relatively smaller city in terms of population and land area, it gained popularity as the home of the Hosmer Dairy Farm Historic District, which is also commonly called as the Walnut Springs Farm. This happens to be the most visited part of the Marshfield as it boasts of barns that were constructed almost 200 years ago but are still standing today. At the center of the city is the National First Families Library and Museum, the venue of the biggest get-together of presidential families and relatives in the history of the country. The Webster County Museum and the Missouri Walk of Fame are other attractions that can be found at Marshfield. This is Missouri's equivalent to Hollywood's Walk of Fame. Visitors coming to the city can easily find accommodations at Marshfield bed and breakfast inns. By The Dickey House B&B.